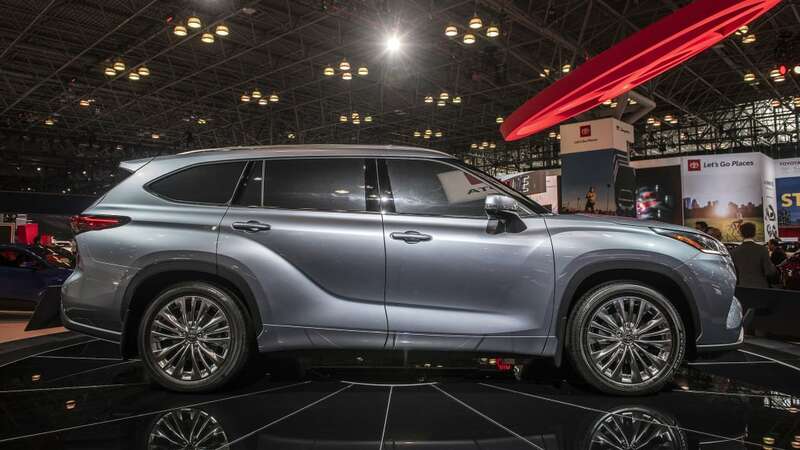 NEW YORK — The 2020 Toyota Highlander may be all-new, but it very much represents an evolution of a tried-and-true formula. 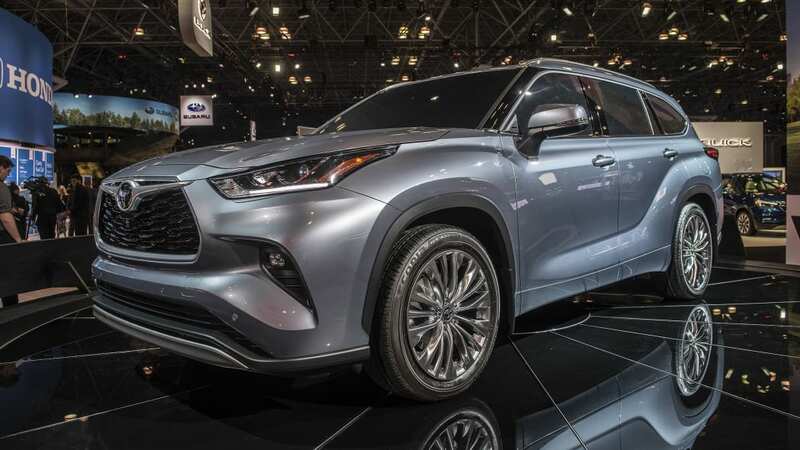 Not only was the Highlander one of the first midsize crossovers, launched at time when the Explorers and Blazers of this world were based on truck platforms, but it went on to be one of the best-selling. 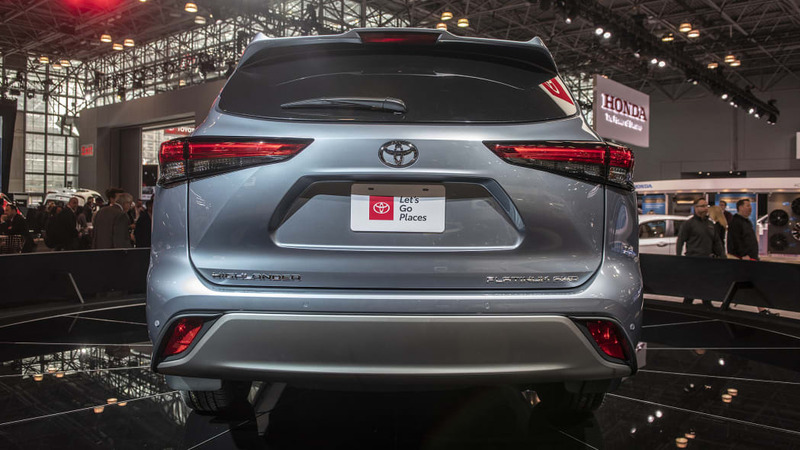 Since then, each of the succeeding generations has been a bit bigger than its predecessor, which is the case with this new fourth-generation model, based on Toyota's now-ubiquitous TNGA platform and specifically the longer K version used in the Camry, Avalon and RAV4. 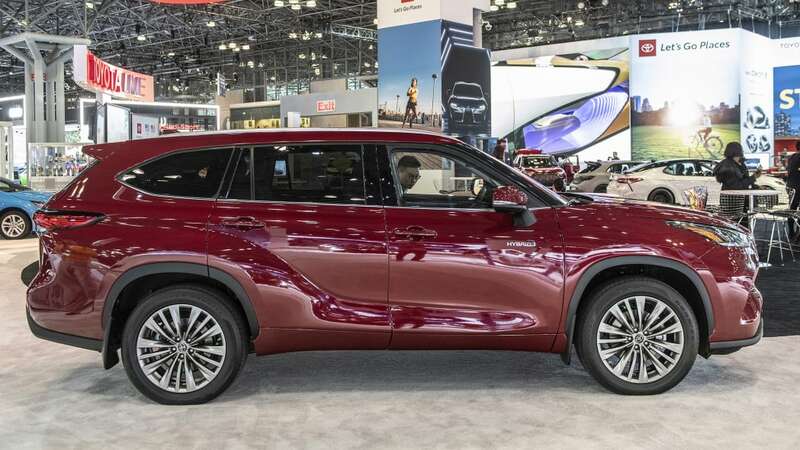 However, despite adding 2.36 inches in overall length, all of which has gone into the cargo area, the Highlander remains one of the smaller three-row crossovers. Whereas most new or redesigned segment entries like the 2020 Kia Telluride and 2020 Ford Explorer get attention with big interior numbers, the new Highlander is sticking with what has worked. If customers were demanding the Highlander go jumbo, or were choosing something bigger, you'd better believe Toyota would've made them happy. That it didn't go big should be a strong indication that customers are perfectly OK with a smaller-than-average entry. 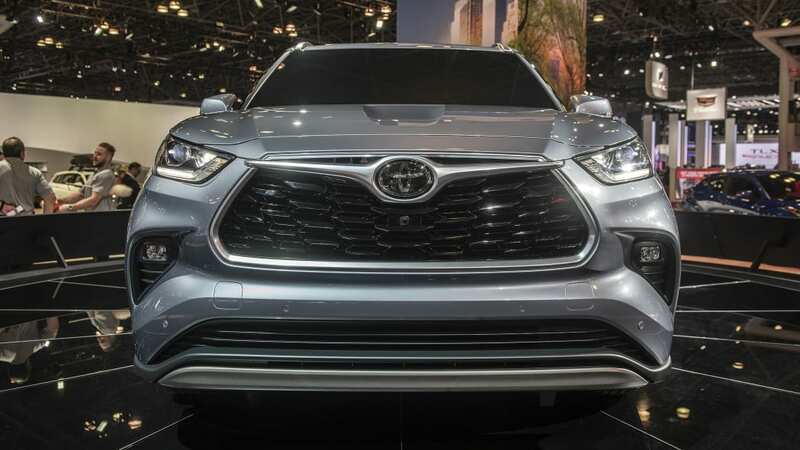 Truth be told, however, spacious new entries like Telluride, Hyundai Palisade and Subaru Ascent have all been launched since this new Highlander entered development. Perhaps those repeat Highlander buyers will find that bigger is better. And if that's the case, they'll most likely notice this deficit in the cargo area. The Highlander now offers 16.1 cubic feet behind its third row, up from 13.8 before. That's still less than all but the Mazda CX-9. Furthermore, space behind the second row is similarly at the bottom of the pack and indeed even less than before (40.6 cu-ft vs 42.3). 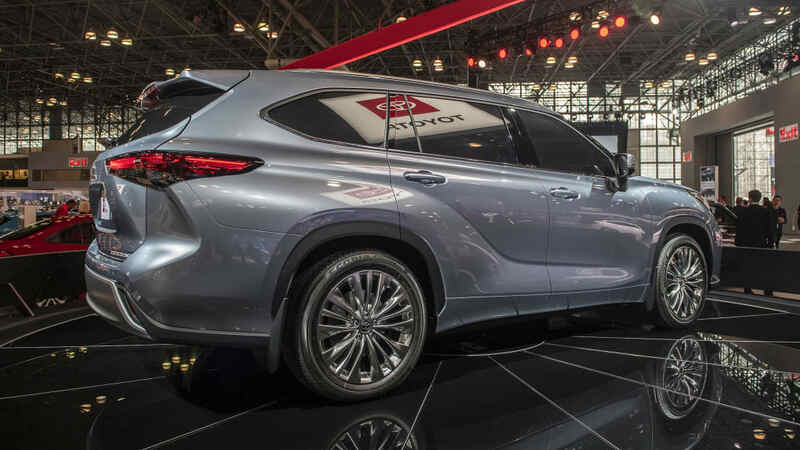 Finally, the Toyota release specifies a 73.3 cu-ft maximum. 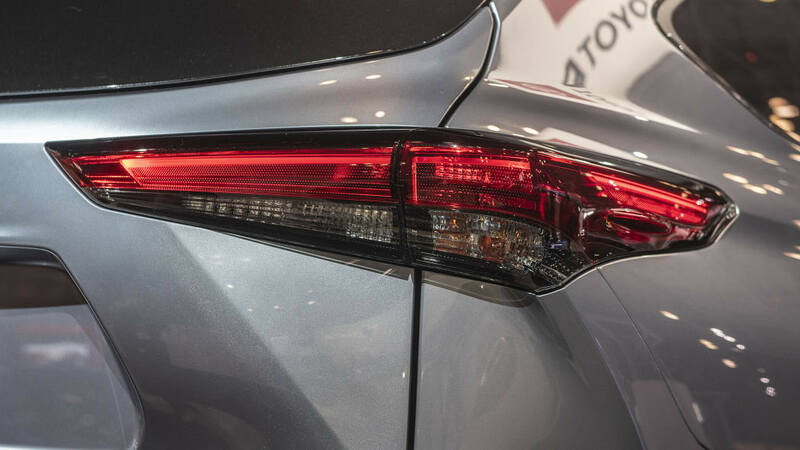 That's a surprising 10 cubes smaller than the outgoing model and we've reached out to Toyota to confirm that number. Note that all these cargo figures are the same with the Highlander Hybrid thanks to a smaller battery pack located under the back seat. Past Highlanders have also had less third-row space than its rival SUVs. Yes, they had seatbelts for eight, but the three in the third row were crammed in and/or were unlikely to be full-sized adults or teenagers. 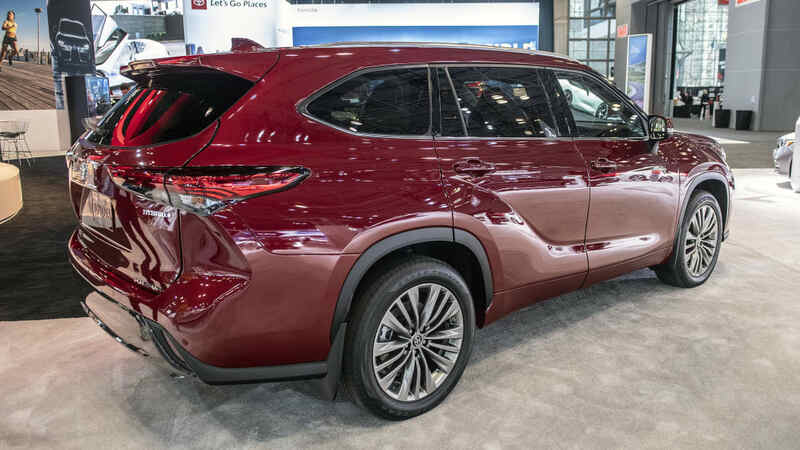 Toyota did not release interior dimensions for the 2020 Highlander beyond the fact the second-row seats slide an extra 1.2 inch (could be helpful). 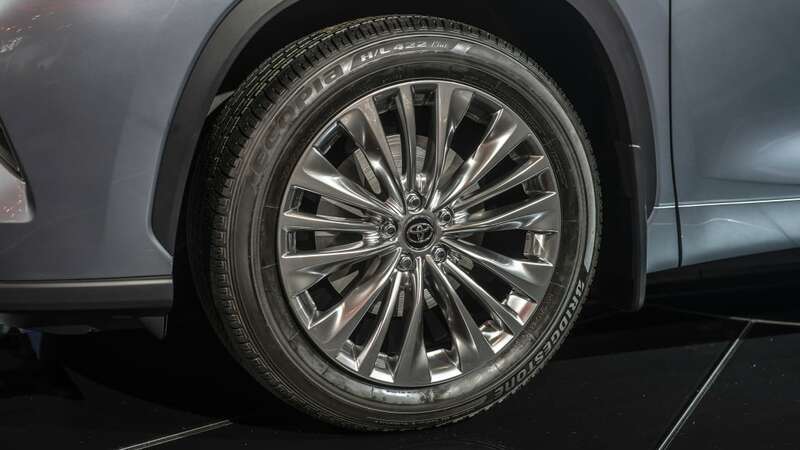 After sitting in it at the New York Auto Show, we can report those extra inches do help. The third-row seat also reclines a great deal and headroom is sufficient for even tall folks. The seat is still very close to the floor, however, and it indeed remains one the least spacious way-backs in the segment. In any event, a second-row bench seat and its consequent eight-passenger capacity is standard on the L and LE trim levels, and a no-cost option on the XLE and Limited. They come standard with second-row captain's chairs and a consequent seven-passenger capacity. The Highlander will now only be offered with a 3.5-liter V6 engine or a hybrid powertrain. The weak, inefficient four-cylinder previously found on the base level Highlander has mercifully been dumped overboard. The remaining V6 is the same one introduced partway through the previous generation, boasting Toyota's D-4S injection system (uses both direct and port fuel injectors) plus dual variable valve timing. Output is the same at 295 horsepower and 263 pound-feet of torque. 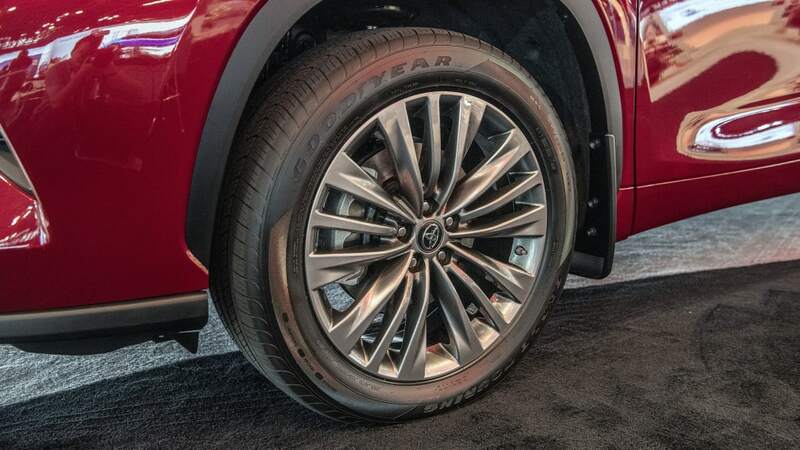 An eight-speed automatic is once again standard, but like the new 2019 Toyota RAV4, there are two available all-wheel drive systems. The base one available on L, LE and XLE is a typical reactive system that operates in front-wheel drive until slippage is detected, in which case, power is sent to the rear axle. The new Dynamic Torque Vectoring system is a predictive system that draws data from multiple vehicle controls to determine whether power is needed at the rear. It can also send different amounts of power between the left and right rear wheels, hence the torque vectoring bit in its name, to aid dry road handling as well as wet weather traction. There's also its Rear Driveline Disconnect system that disengages the prop shaft in certain cruising situations to save fuel. That's also accomplished with a new standard automatic stop/start system fitted to all 2020 Highlanders. 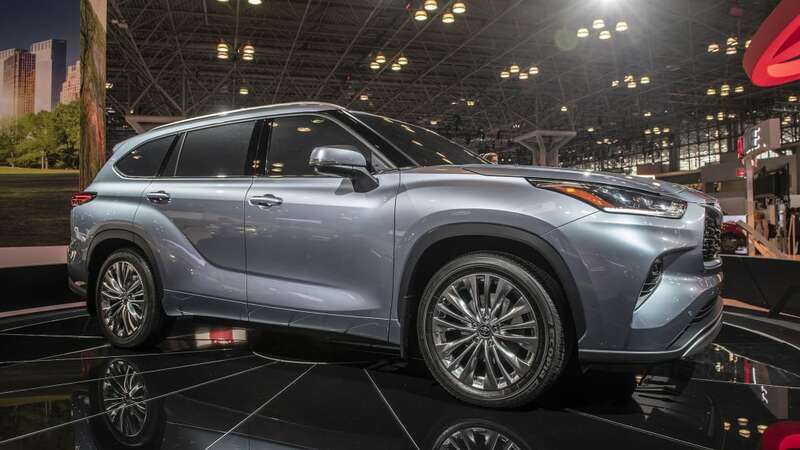 As previously mentioned, the Toyota Highlander Hybrid returns, and like its fellow TNGA platform mates, its hybrid powertrain is new. It features a 2.5-liter four-cylinder that teams with a pair of electric motors to generate electricity and power the front wheels. 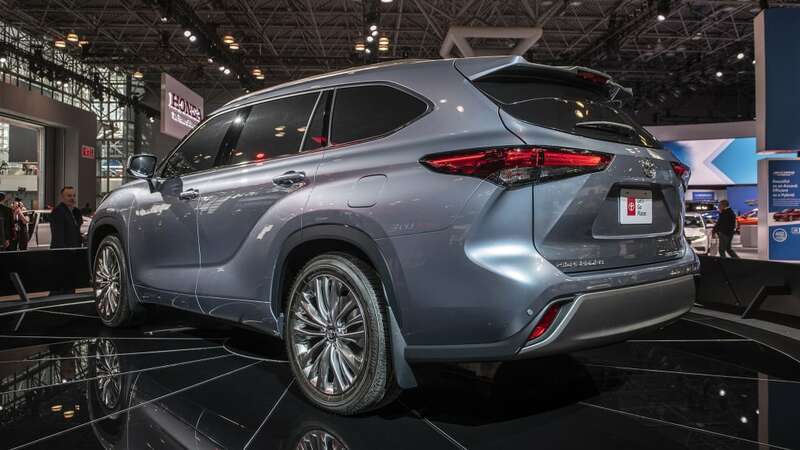 All-wheel-drive Highlander Hybrids gain a third motor at the rear axle. 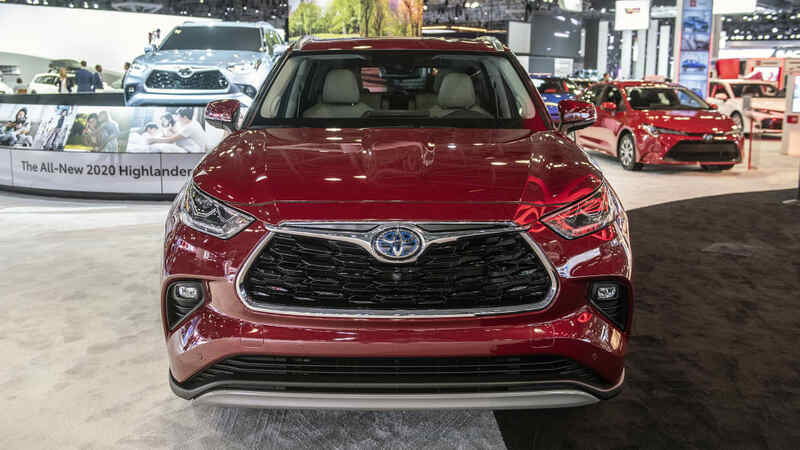 Total system output is 240 horsepower (same as the Avalon and more than the RAV4), while Toyota estimates it will achieve 34 mpg combined with a front-wheel-drive LE trim and 33 mpg combined with all-wheel drive. Different trims will be slightly different. Those figures are up from 28 mpg combined previously. 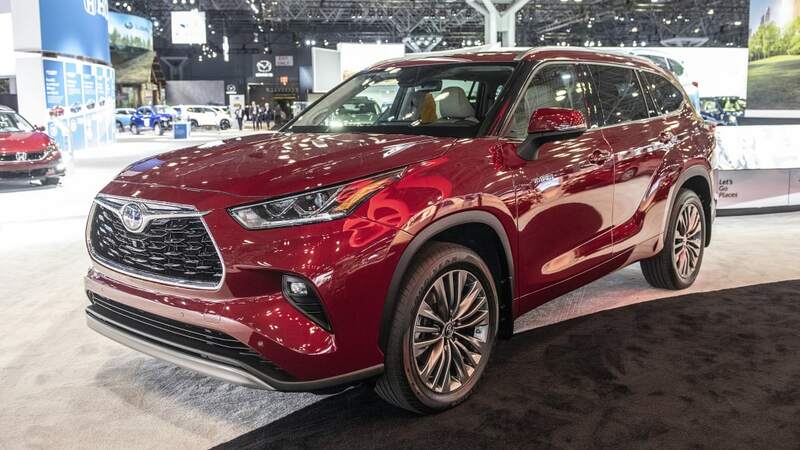 The V6-powered 2020 Highlander is estimated to achieve 22 mpg in combined driving, presumably with front-wheel drive. That's average for the segment. 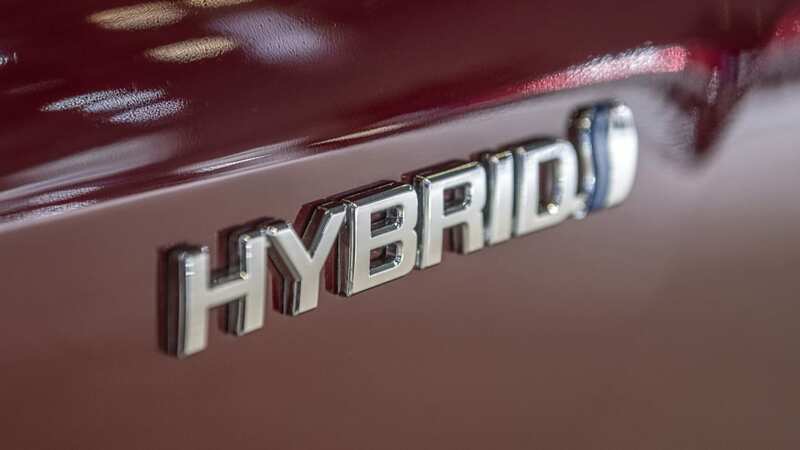 In addition to Normal and Eco modes, the Hybrid now offers a Sport model that adds a bit of electric boost when accelerating (along with, presumably, sharper throttle and steering response). There's also a new feature that allows the driver to increase regenerative braking in an increasing series of steps when driving down hill. Hypermilers, meanwhile, should enjoy a new "accelerator guide" in the instrument panel that will prompt them into being especially prudent with the throttle (and annoying to anyone in their rearview mirror), as well as Eco mode's Auto Glide function that limits engine braking when lifting off the throttle to increase coasting. There's also the new Predictive Efficient Drive system that analyzes navigation system data and habitual driving habits to predict when and where the vehicle is likely to slow and stop. It can then optimize battery charging accordingly. For instance, it can excessively discharge the battery if it knows a long downhill section is approaching, or save battery power if it knows you're likely approaching traffic congestion. Sounds nifty. It can also be turned off. 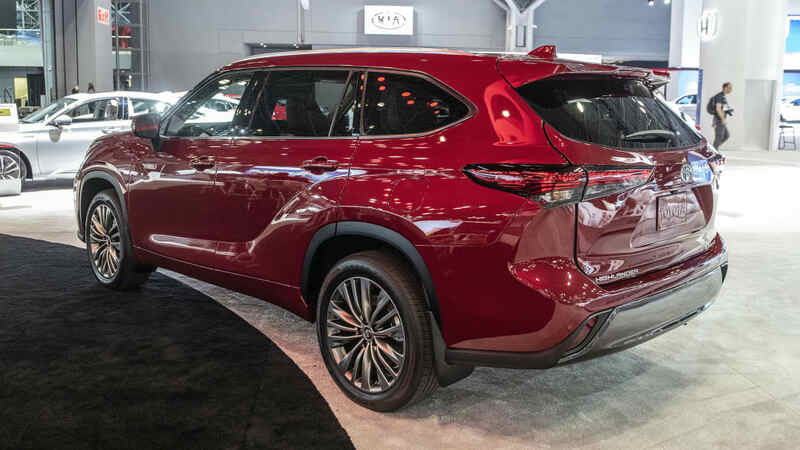 Other new technology in the 2020 Toyota Highlander is more familiar. Not only does every Highlander get Apple CarPlay, but Android Auto has entered the Toyota fold as well. Also included are Amazon Alexa compatibility, Waze integration, satellite radio and in-car WiFi. There are three USB ports up front, plus a large secure place for a smartphone, plus two additional USB ports for second row passengers. There are no USB ports in the third row. Other feature content is listed in detail below. 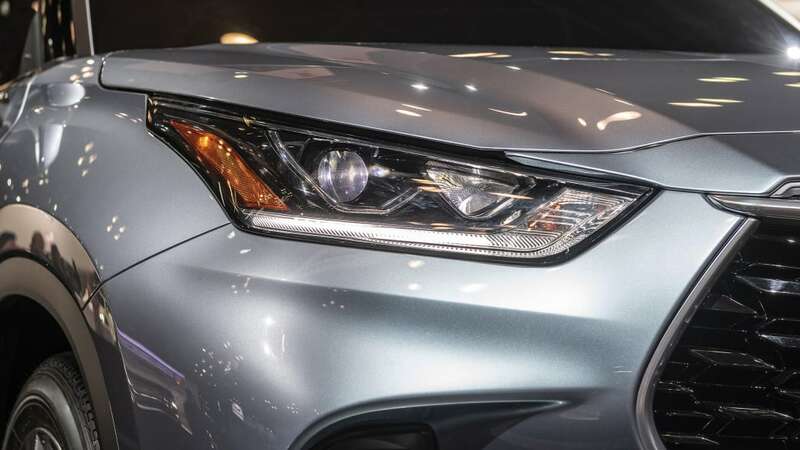 All trim levels but the 2020 Highlander Platinum come standard with an 8-inch touchscreen, which is mounted high atop the dash as it is in the new Toyota Corolla. Indeed, the entire dash design appears most similar to its compact car sibling rather than fellow pricier models like the Camry or RAV4. That's just fine by these eyes. However, the Highlander interior shown in photos is of that Platinum trim, which debuts a 12.3-inch screen into the Toyota family. Like other extra-wide screens, it allows for a 60/40 information split. You can look at hybrid information and the Apple CarPlay interface, for instance, which eliminates the need to constantly go between screens. 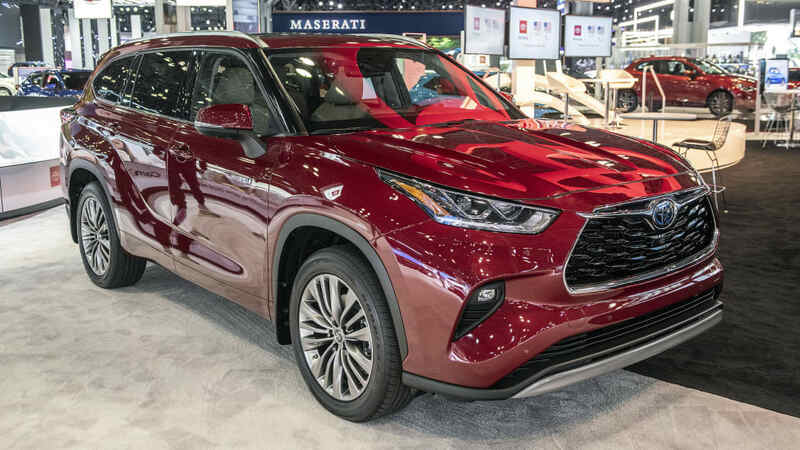 In terms of cabin storage, the 2020 Highlander retains the mid-dash shelf of its predecessor, but it's now split in two. The rest of the center console is pretty typical, with none of the Honda Pilot's sort of multi-compartment trickiness, but the unusual sliding clamshell doors of the previous Highlander's center console bin have been reduced to one slider that's better padded (see photo above). 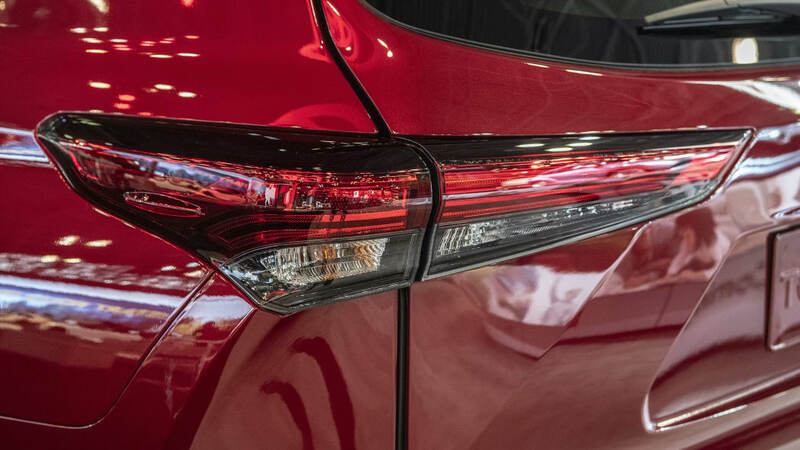 In terms of safety features, every 2020 Toyota Highlander comes standard with forward collision warning with pedestrian detection and automatic emergency braking, lane-keeping assist, lane-tracing assist, road sign identification and alert, automatic high beams, and full speed adaptive cruise control. 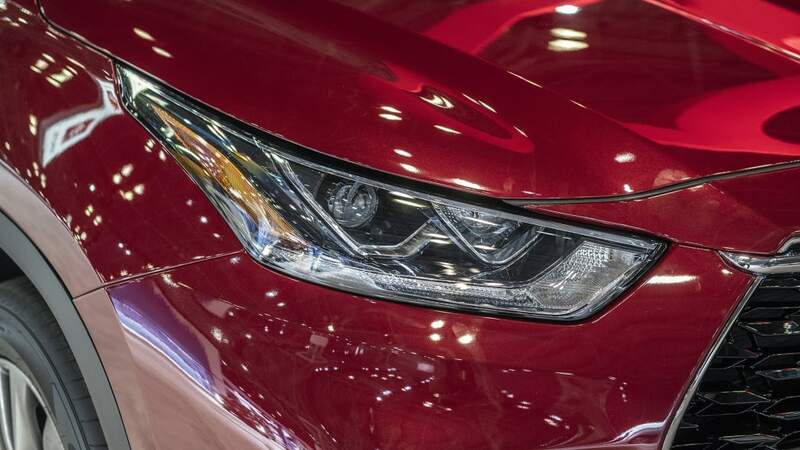 Blind-spot and rear cross-traffic warning are standard on all but the base trim level. Finally, there's nothing really revolutionary about the exterior design. 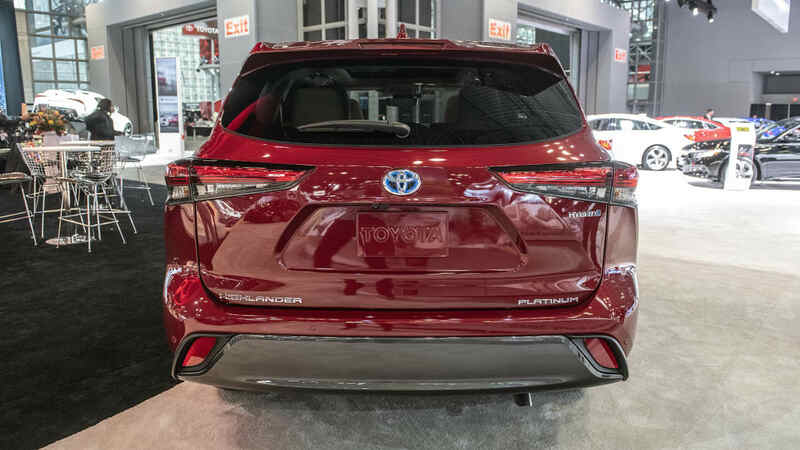 The rear is pretty indicative of the RAV4, but it doesn't possess any of that crossover's Tacoma-like elements. 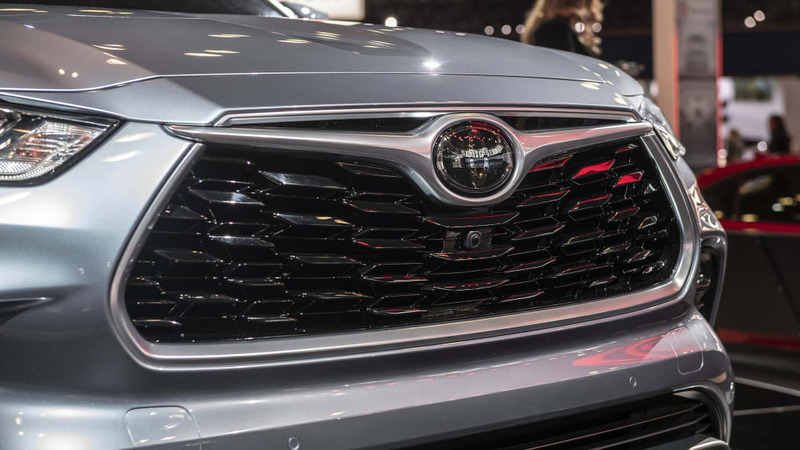 The overall silhouette and front fascia are largely evolutionary, but everything's a little cleaner, more thoughtfully sculpted and the grille is less of a gaping maw. 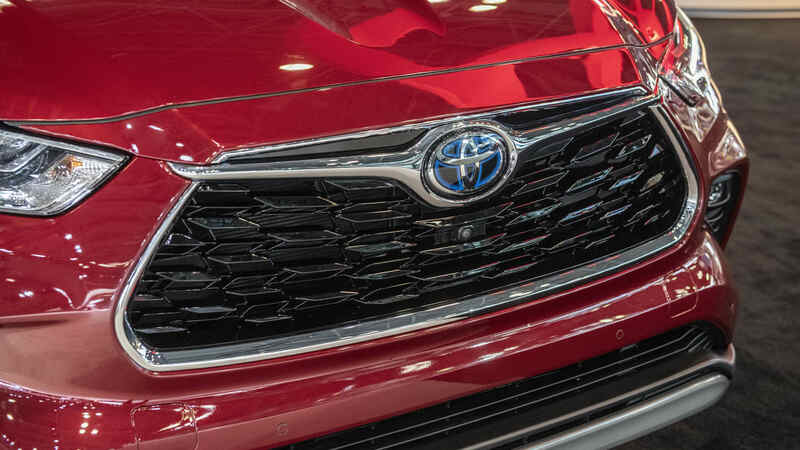 Toyota would seem to be mercifully growing out of its giant grille phase. 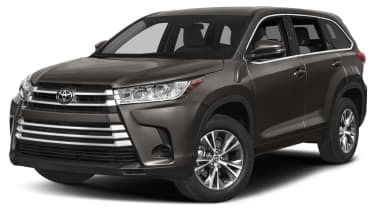 Pricing has yet to be announced, but the sales start for the V6-powered Highlander in December with the Hybrid following in February 2020. The Highlander Hybrid is offered in all the above trim levels except the L.